Our teachers are an unusually dedicated group of professionals whose commitment to the growth and well being of each of their students permeates every aspect of the learning experience. Our educators are certified and credentialed early childhood specialists who model kindness, respect, compassion, confidence and responsibility. Each of our teachers brings a unique blend of professional skills and personal experience to the classroom. Chani Schapiro is an experienced educator who believes children need a positive, relevant and fun early childhood experience to become life-long learners. She graduated from Beth Chana in Safed, Israel in 1999 with a Morah LaGolah Degree from the Israeli Ministry of Education. In the past fourteen years, Chani has taught 3 year olds, kindergartners and 9-12th graders at schools in New Jersey, New York City and Park Slope, Brooklyn. Her true passion lies in giving young children an opportunity to explore their environment and Jewish identity in a self-directed and meaningful way. On that note, in 2004, she founded Chabad Hebrew School with two students. Currently, over one hundred students are enrolled in the fastest growing Hebrew School in Monmouth County. Chani is the co-director of Chabad of the Shore and lives with her husband and children in Elberon, NJ. Shaina Pollack has been an early childhood educator for over 35 years, both in the classroom and as a preschool director. A certified and licensed early childhood educator, Shaina holds degrees in both child development and psychology. She has taught courses and given workshops on creative curriculum and child development. She has also created an original and developmentally appropriate curriculum for early childhood. 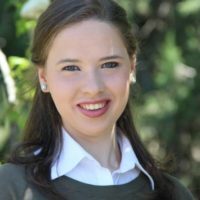 Her “Preschool Planner” is the single most downloaded item on the educational website, “echinuch.org”, reaching thousands of schools around the world. In line with her philosophy that meeting a young child’s physical, academic, social and emotional needs reaps benefits that last a lifetime, “Morah Shaina” develops the preschool program to address all areas of early childhood development. Together with open ended and mutli-sensory learning experiences that incorporate joy, exploration and skills into every preschool theme, she strives to create an environment where children feel safe and loved so that they can develop to their fullest potential. She believes that curriculum should be driven by the students’ interests and creativity so that all of their daily experiences help them to develop to feel special. Understanding that every child develops at a unique pace, she works closely with the teachers to ensure that each child’s needs are met and that they each enjoy an enriching and happy experience at the preschool. Paula brings 26 years of early childhood teaching experience to Preschool of the Arts, having taught each age group, from the 2 ½ year olds up to kindergarten, primarily in Jewish preschools. 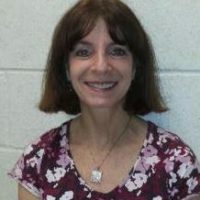 She also taught second grade Sunday School at Temple Beth Shalom in Manalapan. 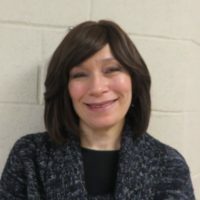 During her 12 years teaching Pre-K at the JCC of Greater Monmouth County, she helped develop and institute the Pirkei Avot/Ethical Start Program and was voted Teacher of the Year in 2010. She loves working with young children and takes exceptional pride in watching them learn and grow throughout the school year. Paula earned her B.A. in Early Childhood Education at Brooklyn College in NY. That’s where she met her husband. They have two wonderful sons and the whole family has a passion for travel and photography. Some of Paula’s favorite trips have been to Israel, Croatia, Italy and Switzerland. She and her husband also love hiking out west in the red rocks. Morah Havie has been an early childhood educator for the past 6 years. A native of New Jersey, Havie is currently completing her Master’s degree in Early Childhood Education. Havie’s special ability to connect with her young students, her infectious zest for life and her positive energy endear her to students, parents and fellow staff. Morah Havie has been trained in “The Nurtured Heart Approach”, an empathy based system for teaching children social skills and self regulation. In her spare time, Havie runs an established day camp serving 500 campers. She also plays the piano, and enjoys baking, reading and singing. She has lots of nieces and nephews and loves spending quality time with each one. Morah Havie is passionate about teaching young children. Her favorite activities are singing and exploring with her students and discovering new things about them each day! Morah Rachel is very passionate about early childhood education. She has been an early childhood educator for the past 5 years and is currently completing her Bachelor’s degree. A life-long learner, Rachel strives for excellence both personally and professionally. Rachel has a broad range of experience, teaching special needs children during the summer months, as well as Hebrew School on Sundays. Rachel also volunteers as a “Big Sister” to disadvantaged young girls. Rachel’s gentle and loving personality coupled with her ability to inspire our young two year olds creates a fantastic learning environment in Class Bet. Morah Rachel has an almost magical ability to turn toddlers into thinking, articulate, and competent young learners, who can work as a team, follow complex directions, and demonstrate empathy and caring for each other. Morah Rachel most enjoys reading stories and singing songs with her adorable and delightful students! 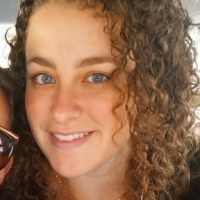 Sarah Levy began her teaching career in 2000 and worked with children with learning and developmental disabilities in Eatontown, NJ. For the past twelve years, Sarah has been teaching three and four year olds at preschool and at summer day camps in Deal. Her objective is to educate students in a happy setting through experimentation with the environment and she encourages self-expression through play, language and arts. Sarah has created a special atmosphere in the Independent Journey and Tot Shabbat class filled with an abundance of love, positive energy and learning experiences. 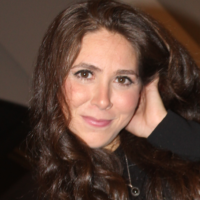 A native of Long Branch, Morah Esther Nehmad has been with the POTA family since its inception. 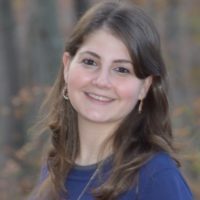 With over eight years of experience at all age levels, Morah Esther possesses an innate understanding of children and how they think and feel. She speaks to them in their own language, while showering them with love and individual attention. Her affection is reciprocated in droves, as the children adore her in return! Morah Esther describes her work as “play”. Morah Esther does double duty as POTA’s resident photographer. Her creative flair and artist’s eye are adept at freezing those precious moments in a child’s life and making them special. The result is an abundance of uber-professional photos that grace our walls and newsletters. This is Raizy’s third year teaching at Preschool of the Arts. In 2012-2013, Raizy helped further the Jewish education and instill a great pride in the students at Chabad Hebrew School in Northern Monmouth County. Raizy attended Beth Rivkah’s Division of Higher Learning in Brooklyn from 2013 to 2015. Her love and enthusiasm for young children was fostered throughout her many years of working as a counselor at Camp Gan Israel in Piscataway, NJ. With her sensitive and gentle personality Raizy is able to reach and meet the needs of every child. She uses her insight and creativity to encourage each student to learn and grow in all areas. A resident of Jackson, Hindy Gestetner is a certified developmental movement and yoga specialist. She has worked with children, teens and babies for almost a decade, incorporating movement, balance, body alignment and yoga to build, strengthen, and improve optimal development. Over the years, Hindy has worked with children and teens to improve focus, build body awareness, gain confidence and promote better posture, all through yoga and movement! She is passionate about working with and helping children of all ages, and finds it rewarding to watch them blossom and thrive through movement. 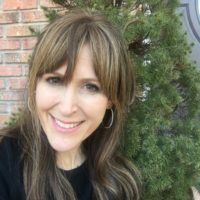 Sherri Ehrlich is a certified preschool teacher, with numerous early childhood music certifications including, Music Together, Music Rhapsody and Musik Garten. In 1993, she became the wizard of Honey Child Music in Red Bank, NJ, a candy-colored conservatory, where she has taught a generation of aspiring Bachs, Beethoven’s and Basies, hosted birthday parties and filmed numerous music videos. Sherri is the TV host of the creative arts program “Miss Sherri Live” featured on Comcast and Fios. Children adore Miss Sherri for the characters she has created and for introducing them to the world of musical whimsy. 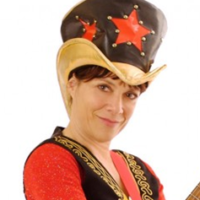 Miss Sherri performs concerts in the greater NY metropolitan area with The Little Animal Band, who have made a Rock-Roaring and refreshing splash in children’s entertainment. With the belief that music and creative expression is as nourishing as good food and fresh air, Miss Sherri’s six award winning CDs have gained much notoriety among the younger set and their families on a national scale. Miss Sherri’s music is an artful pop layer cake of kid-centric lyrics over an eclectic blend of old school hip-hop, world beats, wailing guitar licks, great arrangements, crooning vocals and silky saxophone solos. Miss Sherri has been featured on Fox Channel 5, New York One, and has opened up for High School Musical’s Corbin Bleu at The PNC Arts Center, The Axelrod Performing Art Center in Deal, Queens Theater in the Park and headlined at The Count Basie Theater several times, both in New Jersey, and NYC with the Little Animal Band. Sherri’s gifted music will nurture the creative and artistic expression of all the young students at Preschool of the Arts. Laurie Sarni, lovingly referred to as “Coach”, is our physical education teacher. Laurie has a Bachelor’s Degree in Exercise Science and Health, with a teaching certification in Physical Education and Health, PreK-12. She has been involved in teaching and coaching for 12 years. She currently runs her own fitness company, “Pete Sarni Fitness Design”, and works as a strength and conditioning coach. In addition, Laurie coaches Girls Basketball at Wall Township High School, and at St. Pete’s School in Point Pleasant. Laurie is very passionate about health and wellness. 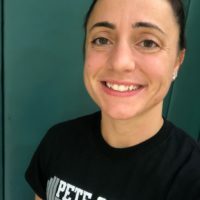 She loves being able to teach fitness to young children because she believes that teachers have a profound impact on children’s attitudes towards health, fitness, and body image. Laurie makes sure that her classes cover important skills that will be used later on in competitive sports, all in an atmosphere of fun!